Alright ladies — I finally get it. It really is a bit unnerving when you’re at the gym and – when you look around — you catch people looking at you. For no reason! 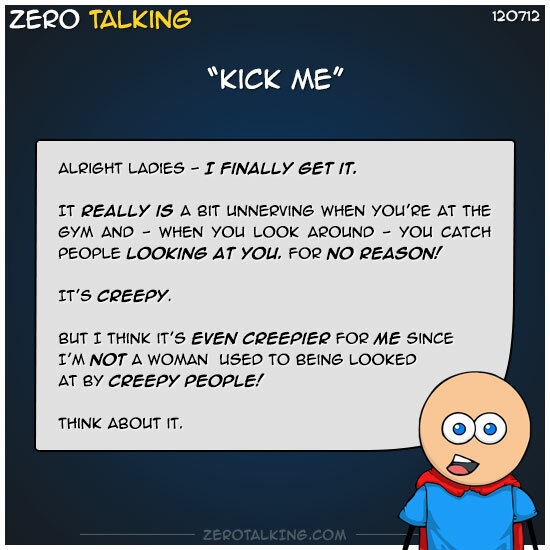 But I think it’s even creepier for me since I’m not a woman used to being looked at by creepy people!